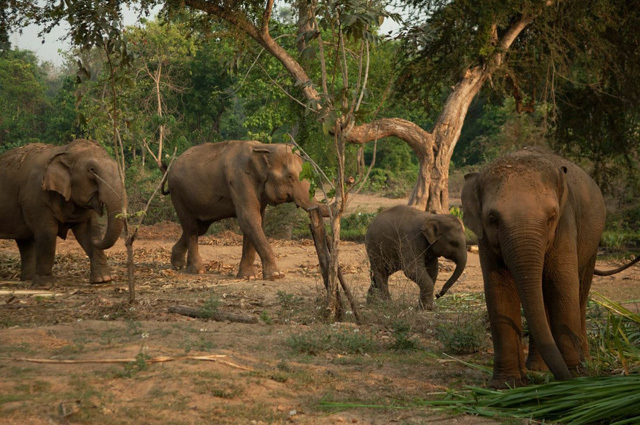 Bathing with an elephant is a once in a lifetime experience, so don't miss out on this! Want the full Bangkok experience? Here’s a sample itinerary for three fun-filled days that will take you around the city for a memorable trip! Arrive in Bangkok, check in your hotel, and get ready for the adventures ahead. 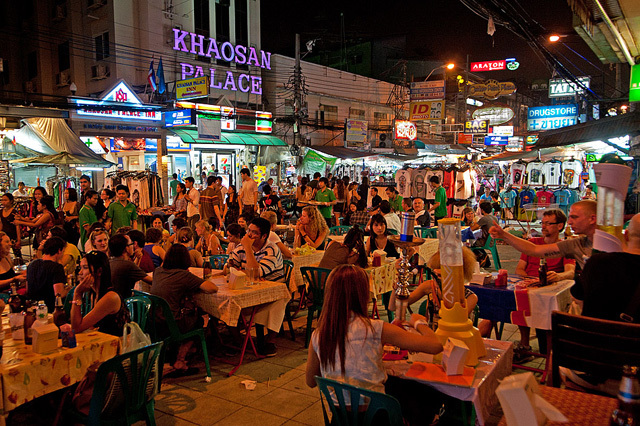 HOTEL TIP: We recommend that you book a hotel room near Khao San road. This street is full of fun and hip bars, street food, and many young travelers. Picture this: People walking with beers in their hands, others lounging and having foot massages (yes, right there on the street!). You'll probably see tourists trying scorpions/spiders/crickets for the first time, and there's a live band playing in every corner, too. It can get a wee bit loud on this street, so check out Tara Place Hotel on Samsen road. The hotel is close to Khao San road, but far enough so you don't hear all the chaos. Day 1 – Temples, temples, temples! 8:30-11:00 am: Spend the first half of your day at The Grand Palace (open from 8:30 am - 3:30 pm, about 500 baht), home of the King and his court for about 150 years. 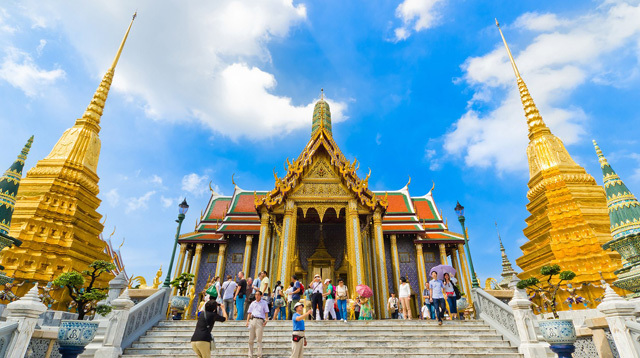 Check out the Temple of the Emerald Buddha on your visit. There's a strict dress code though, and you need to wear clothes that will cover your shoulders and knees. 11:00-2:00 pm: Next, make your way to Victory Monument to catch a minibus ride to the historic city of Ayutthaya, the former Siamese capital. Vans usually leave every hour. There’s a row of affordable boat noodle shops near here where you can grab a quick lunch. The minibus accommodates around 14 people, and the ride will take approximately 1.5-2 hours. It's about 70-100 baht per person. 2:00-5:00 pm: When you get to Ayutthaya, rent a tuk-tuk for 500-700 baht (you can split this with your friends). The driver will recommend which temples to see, but it’s best to do some research beforehand to know which ones you'd want to visit. Must-see temples include Wat Mahathat, Wat Phra Si Sanphet, and the most stunning—Wat Chai Wattanaram. Touring around Ayutthaya can take about three hours. Take note that there are entrance fees (about 50 baht) in some temples. Your tuk-tuk driver will take you to all the sites you want to see and have you back at the terminal in time for your minibus ride to Bangkok. 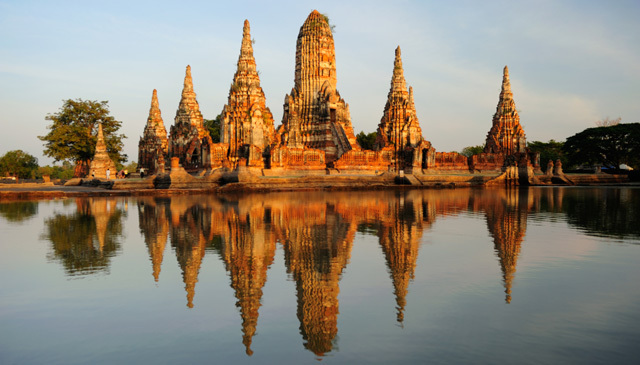 Ayutthaya will definitely leave you in awe with the beauty of its ruins! 5:00 pm onwards: Travel back to Bangkok and finish off the day having delicious pad thai, a cold beer, and a well-deserved foot massage in Khao San road. Day 2 – Floating Market + Bathing with elephants! 7:00 am-7:30 pm: For these activities, you can opt to do it yourself or travel with a tour group. Check out daytoursbangkok.com for a list of affordable tours. One of the tours in that package includes a visit to two breathtaking locations: the Damnoen Saduak Floating Market and an Elephant Camp in Kanchanaburi. The tour is about 1,900 baht, inclusive of pickup from your hotel in Bangkok, transportation from Bangkok to the floating market, a longtail boat ride, lunch, a quick stop at the Bridge on the River Kwai, an elephant ride (you get to bathe with an elephant, too), and a return trip back to Bangkok. Bathing with an elephant is a once in a lifetime experience, so don’t miss out on it! 7:30 pm onwards: Check out Sky Bar for a spectacular view. Even the island bar is a sight to see as it changes its color every 90 seconds. Add the Bangkok skyline to this, a good drink, great company, and your night is set. Before heading out, be sure to check out their dress code here. 9:00 am-12:00 pm: You’ll find anything under the sun for sale at the Chatuchak Weekend Market. This is the largest market in Thailand with more than 15,000 booths! You can haggle here or buy in bulk to get the best deals. They have a great street food selection here as well, so it’s the perfect place to have an early lunch after all that shopping. 12:00-3:00 pm: Shop some more at Platinum Fashion Mall, the largest wholesale and retail destination in Thailand. Oh, and the more you buy, the cheaper the individual price of each piece becomes. 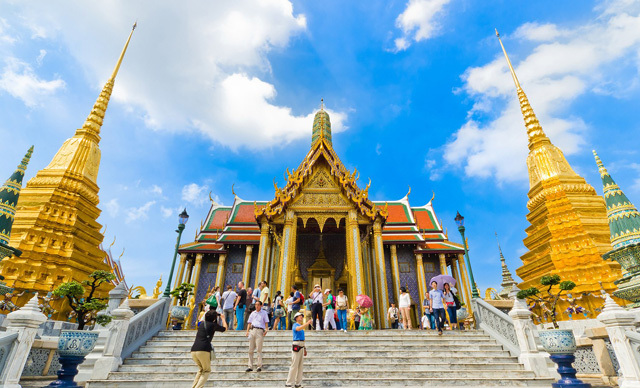 3:00-7:00 pm: End your trip with a quick visit to Wat Pho to see the largest reclining Buddha and Wat Arun, the Temple of Dawn, which you can access via water taxi for a more scenic route. They say the temple is exceptionally beautiful at night when it is lit up. 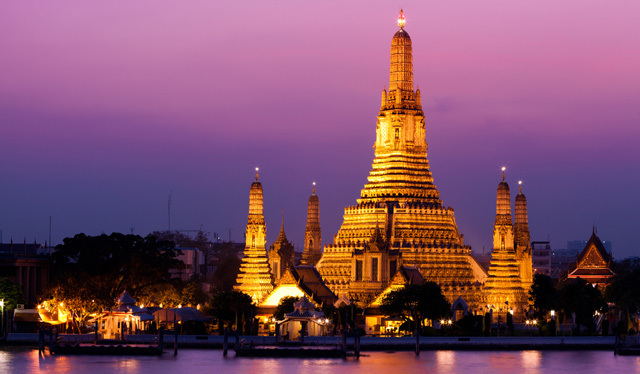 It may just be the perfect view as you bid Bangkok goodbye.